Happy Monday! 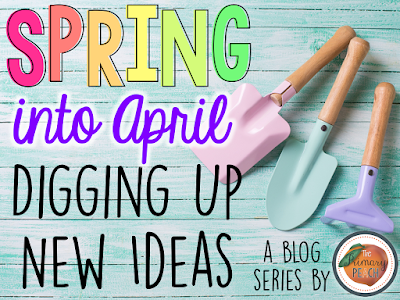 It's Stacia from Collaboration Cuties, and I'm excited to share some quick and easy outdoor learning ideas with you! 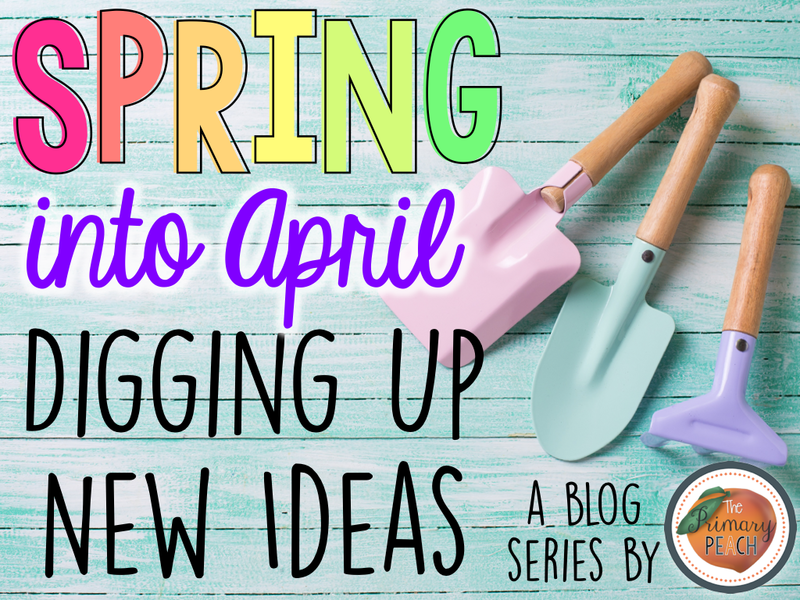 Make sure to check out all the great ideas in our April series! We wouldn't go far- on the sidewalk or on the blacktop or around the playground or in a grassy spot on the field. It just depended what we were doing. And we didn't stay out forever- just 10-25 minutes or as long as the activity required. There are so many learning opportunities outside, but here are a few ideas for math and science. My students loved doing outdoor math activities! Usually, I had the students bring their math journal and a pencil. Sometimes they brought whiteboards, markers, and erasers instead. You can also have them bring an iPad or camera if you have one to take photos (depending on the activity). -Fractions- Let students find fractions of a whole and of a set outside around the school. Have them record their fractions in their math journals. Then, practice simplifying the fractions, adding the fractions, comparing the fractions, etc. -Measurement- Have students bring rulers or yardsticks or other measuring tools out with them. Let them measure a variety of objects and areas. Then, have them compare their measurements and convert them. -Area and Perimeter- Students can calculate area and perimeter of different areas by measuring around and multiplying the length times the width or adding up all the sides. -Geometry- Have students identify geometric figures. You can even let them take photos or draw pictures of the figures they find. -Estimation- Let students estimate the number of various objects outside. Then, have students discuss and compare estimates to determine if they are reasonable. You can have students add and subtract their estimates as well. Outdoor science activities are so much fun! Again, I usually had students bring their science journals and a pencil (sometimes crayons or colored pencils too). And, you can also have them bring an iPad or camera if you have one to take photos (depending on the activity). -Light- Have students investigate light with prisms. They love seeing the "rainbows" they can create. Then have them draw and label the colors of the visible spectrum in their science notebooks. -Water Cycle- Show students that the water cycle is all around them. Let them observe evaporation, condensation, precipitation, and collection. Have them draw and label the different parts. -Clouds- Let students identify the different types of clouds and draw what they see. Then, discuss how the clouds affect the weather. This is a quick and easy activity to do when you are walking back in from the playground after recess! -Adaptations- Talk with students about the plants and animals they see around the school grounds. Discuss why certain plants and animals make their homes there. How are they able to survive? What would happen if they were moved to another habitat? Students can record the different plant and animal adaptations they see in their science journals. I hope some of these outdoor learning ideas may work for you and your students! Gratitude for sharing these quick and easy Outdoor Learning Ideas! I am truly very impressed to get this list of fun activities. Would definitely use these ideas in my Phoenix preschool. I was in search of exactly similar outdoor activities for students. G club Online casinos offer online casinos. Bets on the player can play with fun. Bets are open to all types of online gambling. A player who is interested in using online betting services to earn money for himself and his family can come to bet on the service of our website. Investors who are interested in betting online gambling players can use it here. In addition, the gambler who used to play online gambling with us, the player can bet on it. Just Investors Investors Join Us Without downloading the application, you can join game online betting with us unknowingly. Just have internet, you can play gmae anywhere, anytime. With a lot of bets.